This site provides information about the Zurmang Kagyu lineage and supports the activities of Zurmang Gharwang Rinpoche in the US. It also provides resources for Rinpoche’s students and practitioners of the Zurmang lineage teachings. Below is a video of H.E. the 12th Zurmang Gharwang giving a short account of the history of Zurmang Kagyu. The Zurmang tradition began with Mase Tokden Lodro Rinchen (b. 1386), also known as Trung Mase, who was a student of the fifth Karmapa Dezhin Shekpa (1384-1415). He received the transmission of the Chakrasṃvara Hearing Lineage. The succession of the incarnations of his students that have held the seat of the dharma lineage constitute the Zurmang Kagyu. The two teaching traditions [of Rechungpa and Ngendzong Tonpa] are the most widely renowned of the ones that Jetsun Mila bestowed in individual portions to his eight heart disciples when explaining the instructions of the hearing lineage. In particular, the special transmission of the profound and vast instructions of ripening and liberation of the Dakpo Hearing Lineage fell to the Zurmang Kagyu and it continues unbroken up to the present. 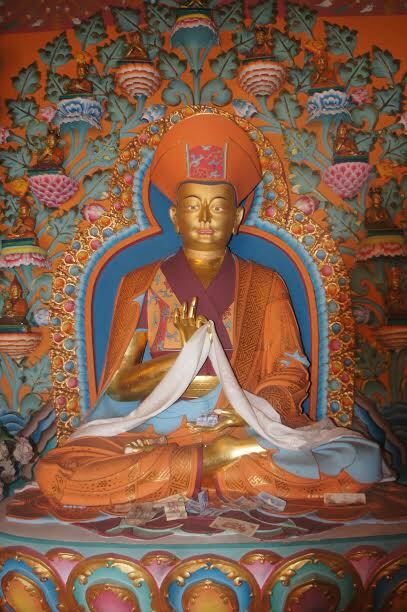 Statue of Trungmase, the 1st Gharwang Rinpoche, in Zurmang Monastery, Sikkim. 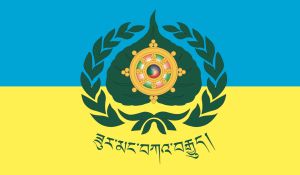 The Zurmang Kagyu lineage (sometimes spelled Surmang Kagyu, or Tsurmang Kagyu) continues today with Zurmang Kagyu Monasteries in Tibet and Sikkim, and Zurmang Kagyu Buddhist Centers throughout the world.